The other week I came across this news item, about women who have deliberately stopped dyeing their hair in order to cover their greyness. This article led me to the Grombre account on Instagram and the Twitter hashtag. The women posting, many still in their thirties and forties, told similar stories: of feeling pressured to colour their hair, and shame at their greyness and signs of ageing; a realisation, too, that their male contemporaries were being left in peace, and could, as the article puts it transition to silver with the salt-and-pepper grace of George Clooney. And with this came a sense of liberation, and - one hopes - an awareness of their innate loveliness, which is enhanced, rather than diminished, by grey streaks and shading. 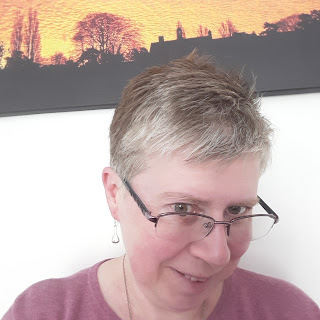 I'm blessed, in that, though I'm vain about quite a few things, my hair colour isn't really one of them, and so - though I'd be very happy to still have the sandy blonde hair of my younger self - I've never felt the pressure or yearned to colour it. I'm also lucky in that, unlike the Grombre women, my greyness is relatively recent - it didn't feature at all in my thirties or even early forties. 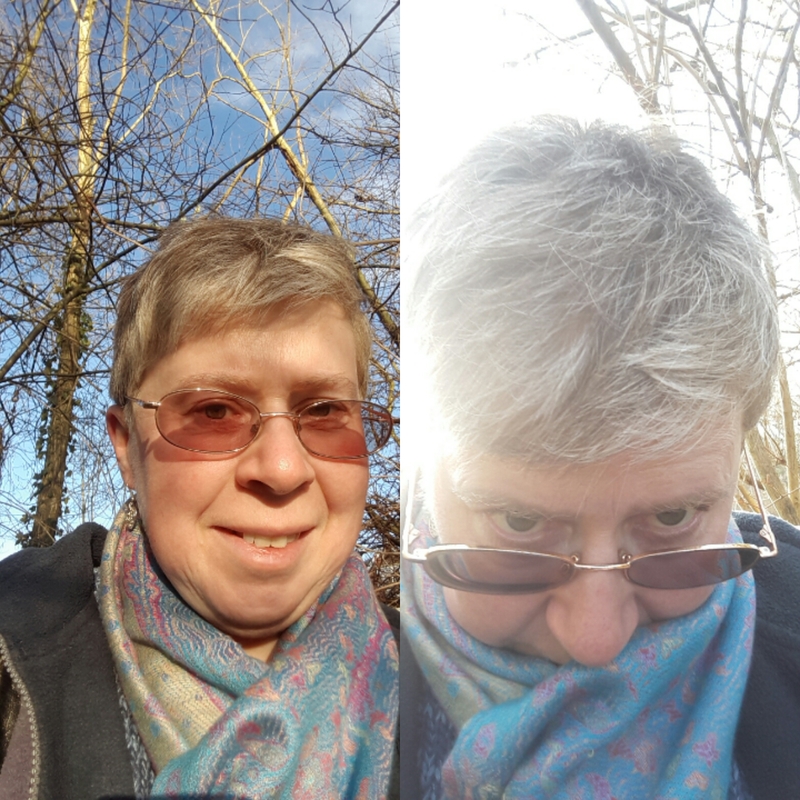 Then came the first few white hairs, and I wryly realised that whereas before entering religious life I used to pay to have subtle bleached highlights, Mother Nature had now started providing them for free. That said, I'm not sure when, exactly, my hair began to turn grey. This is partly due to being fair-haired, so that those early whites simply blended in. I also carry a strong ginger gene, and I've noticed that redheads generally fade gradually into a softer, paler version of their original colour. 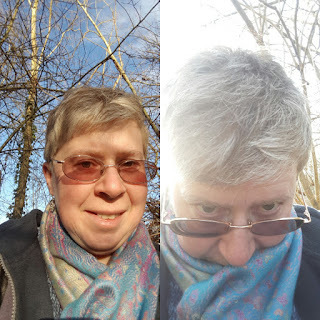 All this meant that it was only in my mid-forties, whilst getting my hair cut, that I began to notice a slender grey pinstripe in the damp-darkened locks falling into my lap. Over the years the pinstripes have broadened and multiplied, and my blonde hair has darkened; even so, it was a surprise when someone described me, aged fifty-one, as having 'salt-and-pepper hair'. He could have made my day with silver and gold - but no, I'm now the far more prosaic (albeit very George Clooney graceful) salt and pepper! By then, a combination of grey pigment placement plus the layering of my hairstyle meant I was well on the way to the kind of dip-dye 'ombre' effect you see before you. And as salons can charge £60 or more for a less complicated treatment, it seems that Mother Nature is once again providing me with expensive services absolutely free of charge! She is also something of an alchemist - or at least, Brother Sun is. How else to explain the startling difference in colour one wintry day, depending on whether or not I stood in the sun? Ah well, forget salt and pepper - here, for once, I was able to go from silver to gold literally in two easy paces!